This year’s RiverRun International Film Festival includes 14 films with connections to UNCSA, including the documentary “Extraordinary People,” written, produced and directed by Laura Hart McKinny, a professor of screenwriting in the School of Filmmaking, and her son, John. The festival runs Thursday, April 4, through Sunday, April 14. Screening and ticket information is available online. 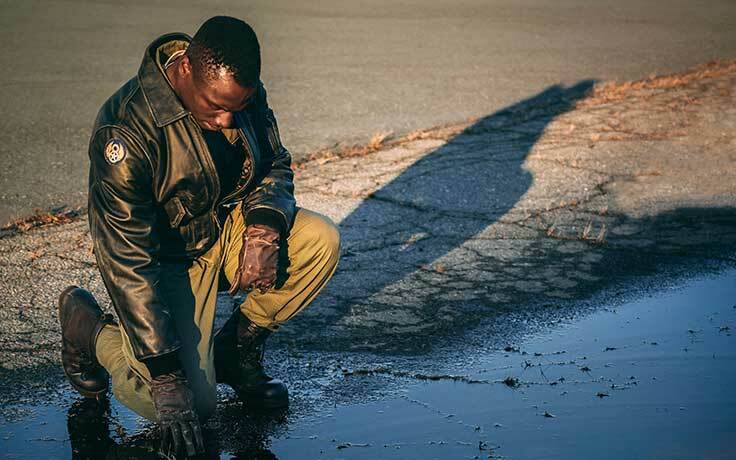 In addition to films involving UNCSA faculty, students and alumni, the festival will include Film Dean Susan Ruskin, Professor of Cinema Studies Dale Pollock and Film Music Composition Director Chris Heckman leading special events. UNCSA students and alumni will serve as ambassadors and projectionists for the festival, and graduate student Epiphany Huffman is a member of the RiverRun advisory board. Laura Hart McKinny's film "Extraordinary People" documents six adults across the autism spectrum who perform meaningful work at a Chapel-Hill based non-profit. The documentary’s subjects work in a variety of jobs. For example, Ewan, who also has a passion for cooking, sells premium-scented candles. Michael walks dogs for EV Pets. Vinnie and Amanda have worked several years for EV Laundry, doing such tasks as pickup and delivery. Ewan helps Chapel Hill’s bus-maintenance team detail buses. We want people to know that young adults across the autism spectrum have the same dreams and hopes that we all do. They want to feel challenged. They want to feel truly competent. They want to succeed. McKinny hopes her documentary will promote similar initiatives in other areas. Since April 2018, almost 30 organizations have hosted private screenings of “Extraordinary People,” including the Autism Society of America and several state organizations. 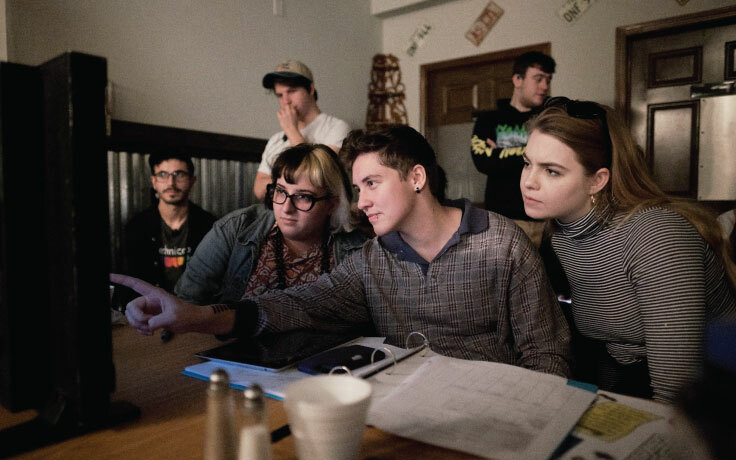 The “Extraordinary People” creative team includes 2017 Film alumni Sam Scott, cinematography and editing; Tyler Hickman, additional editing; and Julian Tran, second camera. Heckman composed the score and Tom Hauser (MFA ’13) provided post-production sound and sound recording. Current students Rachel Schattle and Hayley Vinson assisted with camera, grip, lighting and digital imaging technical support. Ruskin will lead a Q-and-A with River Run Master of Cinema Mike Medavoy following a screening of “Raging Bull,” a classic from 1980 filmed when Medavoy was senior vice-president of production at United Artists, as part of RiverRun’s celebration of the studio’s centennial. Medavoy also co-founded Orion Pictures, the production company for two of Ruskin’s films: “The Woman in Red” and “Haunted Honeymoon.” Other celebrations of the centennial include a digitally-remastered “Little Annie Rooney,” a silent film made by United Artists founder Mary Pickford in 1925. Heckman, a graduate of the Film Music Composition program (MFA ’09), will discuss the use of modern music for classic silent films following the screening of a recently restored print of the 1915 silent film “Fanchon, the Cricket” from the Mary Pickford Foundation. Also participating in the panel discussion are Elaina Friedrichsen from the Mary Pickford Foundation and Julian Ducatenzeiler, a Lolipop Records recording artist and front man for the rock band Mystic Braves. Watch the trailer for documentary short "No Sanctuary," which will screen at RiverRun International Film Festival. The winner of last year’s RiverRun Pitch Fest, a short film by alumni, will screen in the NC Shorts 1 program. “No Sanctuary” was a 2018 senior thesis film. As a result of winning the Pitch Fest, the filmmakers were able to expand the film with additional footage and updates. It was also selected for the American Film Institute/Meet the Press documentary film festival last year, screening alongside films by HBO, Netflix and the New York Times. “No Sanctuary” examines the lives of family members of the “Emanuel 9,” victims of the massacre at Emanuel African Methodist Episcopal Church in Charleston, S.C, on June 17, 2015. Dylan Roof was convicted in December 2017 and sentenced to nine life sentences in the mass shooting. The film was produced by Moriah Hall and Emmilee Millhouse, with cinematography by Vishal Parmar, editing by Jay Batchler with music by Caleb Gardner. All are 2018 graduates of the School of Filmmaking. "To the Stars," a feature film directed by Martha Stephens, will screen at RiverRun. “To the Stars,” a narrative feature film directed by Martha Stephens (Film ’06) with Andrew Reed (Film ’06), cinematographer; Nathan Whiteside (Film ’06) editor; Will Files (Film ’02), supervising sound editor/re-recording mixer; and Kenneth Neil Moore (Film ’02), additional photography: second unit. “Ode to Joy,” the opening night feature film, features Jake Lacy (Drama ’08) in the cast. “A Great Lamp,” a narrative feature film by 2015 Film graduates Saad Qureshi,director, screenwriter and producer; Donald Monroe, screenwriter, producer and cinematographer; Max Wilde, screenwriter and editor, Jake Bellew, sound mixer. Spencer Bang (Drama ’15) was screenwriter and appears as Howie, and Steven Maier (Drama ’15), was screenwriter and appears as Gene. Film faculty member Julian Semilian appears as Julian, and his wife, Laura Ingram Semilian, a Music alumna, plays Laura. “In Saturn’s Rings,” a documentary with Hauser as music editor. “A Scientist’s Guide to Living and Dying,” a narrative, stars Nitzan Mager (Drama ’04), who also co-directed and wrote the film. The transformation of a theater in Elkin is documented in "Reeves: A Home for Music," screening at RiverRun. “All You Can Carry,” screening in the NC Shorts 2 program. Produced by Noelle Aleman (Film ‘17) while she was in graduate school in London, the film’s creative crew includes Mitchell Perrin (Film ’17), cinematographer, Delaney Rath (Film18), art director, and Kahei Shum (Film ’17), costume designer. “Reeves: A Home for Music,” a special free screening. The creative team includes Hauser, production sound mixer; and Nathan Knox (Film ’18) and Donald Moore (Film ’15), additional cinematography. “Sandoval’s Bullet,” screening in the Documentary Shorts program, was directed by Jean-Jacques Martinod (Film ’14). "Voyager Pen-15" will screen at RiverRun. 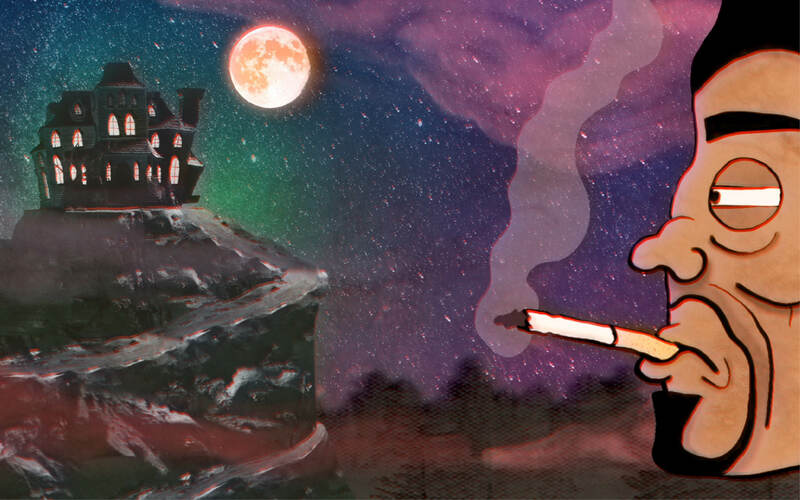 “Moondogs,” screening in the NC Shorts 2 program, is a 2019 senior thesis film written and directed by Riley Fitchpatrick with Chris Stephens, writer; Mike Rodway and Sam Varriale, producers; Stacia Bohnert, cinematographer; Riley Patterson, production designer; Brian Sheehan, editor/sound designer. “Mother Nature,” an animated film screening in the Films with Class program for students and adults, was a 2018 senior thesis film with story by current third-year student Parker Thompson. Film 2018 graduates who worked on the film include Logan Barrick, director, animator, producer, story and editor; Malory Pacheco, director, animator and producer; Jacqueline Olivo, sound designer; Roxanne Lynne Peykamian, sound designer; and Thomas Little, sound designer. “Tropical Gardens,” a narrative short in the festival’s NC Shorts 2 program, was produced by 2018 graduates from the undergradute and gradute Film programs, including Morten Savage, director; Seth Hall, producer; Theo Sturz, cinematographer and Aimee Lynn Phillips, sound designer, along with current students Brian Sheehan, editor, and Kevin Mackler, production sound. “Voyager Pen-15,” a narrative film in the NC Shorts 2 program, was a 2018 senior thesis film by Katia Czartorysky, director; Emmet Padgett, writer; G. Chandler Cleary, writer/cinematographer; Abraham Bengio and Matseliso Tlelai producers; Lorr Volatier, production designer; Ede Bell Crowder, editor; Willie Adams, sound designer; and Caleb Gardner (Film MFA ’18), composer.